ASTM A240 / UNS S31000 - S31008 / DIN 1.4841 - 1.4845. ASTM A240 Stainless Steel 310 Hot Rolled Plate, DIN 1.4841 Plates and Coils, SS 310 Sheets, SS 310S Plates, SS 310 Coils, UNS S31000 Sheets and Plates, SS 310/310S Cold Rolled Sheet, UNS S31008 Sheets and Coils, WERKSTOFF NR. 1.4845 Sheets, Plates & Coils, SS 310/310S Sheets, Plates & Coils Supplier in Mumbai, India. 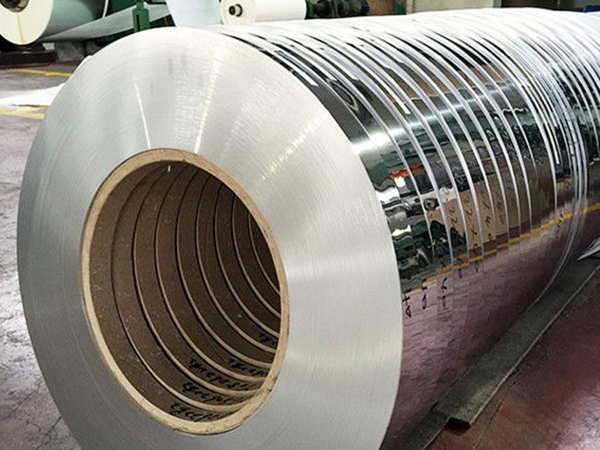 SS 310S Export Polish Sheets, SS 310 Circle, Austenitic Stainless Steel 310 Sheets & Plates, SS 310S Sheets, Plates & Coils Exporter, SS 310 Plain Sheets, SS 310S Shim Sheet, SS 310 Strip, SS 310S Galvanized Coils, SS 310 Diamond Plate, SS 310 Perforated Sheet, SS 310S Chequered Plate, SS 310 Slitting Coils, SS 310S Polished Plates, SS 310 Foils. Jayesh Metal is the manufacturers, supplier and exporter of SS 310 / 310S Sheets Plates. They are one of the leading manufacturers that provide their customers a high quality of stainless steel sheets and plates in different shapes, sizes and specifications. 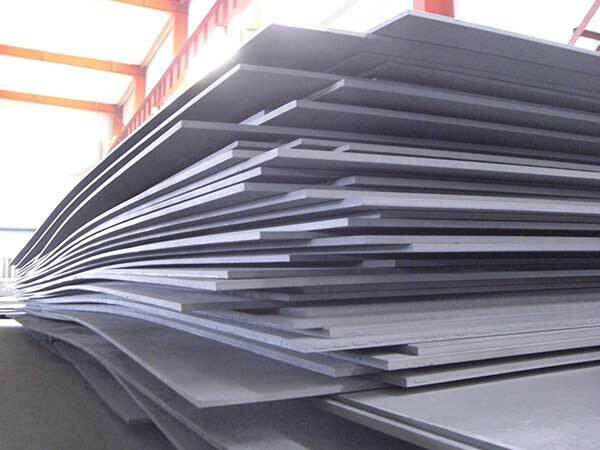 Well, if we talk about the grades that are used for manufacturing these sheets and plates then it is important to know that alloy 310 is an austenitic stainless steel. It is developed for the use in high and elevated temperature as well as corrosion resistance applications. On the other hand, 310S grade alloy is a carbon version that is utilized for the fabrication process. Grade 310 and 310S have amazing high-temperature features and properties with excellent weldability and adaptability. However, these SS 310 / 310S Sheets Plates can easily bear all types of environment and temperature. These sheets and plates are used in various industries and applications that are used for both high and low-temperature services. These sheets and plates are manufactured using high quality of raw material that is well tested and inspected by inspection agencies. With it, they include both national and international specifications and standards. These SS 310 / 310S Sheets Plates are hot and cold rolled and cover ASTM A240 and ASME SA240 standard. The thickness of these sheets and plates varies from 1.0mm to 100mm and width varies from 1000mm to 2000mm. You can easily see them being used in medical equipment, food industry, building construction and electric equipment. They are rust proof, flawless finish and are temperature resistance. 310 stainless steel plates, stainless steel 310s cold rolled sheet distributors, stainless steel plates exporter in india, ss 310 hot rolled plates dealers, stainless steel 310 sheet exporter in mumbai, 310 stainless steel coils, stainless steel 310s sheet manufaturer in India, hot rolled coil uses, Stainless steel 310 coils exporter in mumbai, ss 310 hot rolled plate stocks, stainless steel 310 profile dealers, stainless steel 310s Sheet manufaturer in mumbai, ss 310 Plate price list, stainless steel 310s coil manufaturer in India, stainless steel coils exporter in india, ss 310 coils weight, ss 310s shim sheets, astm a240 ss 310s circles exporter, 26 gauge stainless steel coil, ss plates price india, hot dipped galvanized ss coils, cold rolled ss 310 coils mechanical properties, ss 310s coils price list, Stainless steel 310 sheet supplier in mumbai, ss cold rolled plate supplier, stainless steel 310s sheets price, galvalume ss coil, ss 310s Sheet Supplier in India, galvanized stainless steel coil prices, Stainless steel 310 Sheet exporter in India, 310 sheets specification, stainless steel 310 plate price list, stainless steel cold rolled coils supplier, pre painted stainless steel 310 coil suppliers, ss 310 sheet price list, ss 310 blank suppliers, 310s stainless steel sheet. South Africa, Switzerland, Vietnam, Belarus, Jordan, Venezuela, Greece, Angola, Indonesia, Poland, Kenya, Bolivia, Netherlands, Bhutan, Ghana, Sweden, Morocco, Hungary, Trinidad & Tobago,Tunisia, Philippines, Yemen, Spain, Argentina, Mexico, Afghanistan, Oman, South Korea, Iraq, Hong Kong, Ecuador, Ukraine, Kuwait, Romania, Egypt, Belgium, Germany, Croatia, Libya, Austria, Turkey, United States, Nepal, Japan, India, Singapore, Tibet, Thailand, Lebanon, Pakistan, Costa Rica, Zimbabwe, Russia, Serbia, Gabon, United Kingdom, Azerbaijan, China, Finland, Israel, Chile, Saudi Arabia, Kazakhstan, Qatar, France, Bangladesh, Poland, New Zealand, Portugal, Colombia, Bahrain, Nigeria, Denmark, Malaysia, Sri Lanka, Iran, Peru, Brazil, Namibia, Canada, Lithuania, Czech Republic, Gambia, Bulgaria, Ireland, Algeria, Norway, Italy, United Arab Emirates, Mexico, Estonia, Australia, Taiwan, Iran, Nigeria, Slovakia, Macau, Chile, Mongolia, Puerto Rico. Ho Chi Minh City, Noida, Al Khobar, Navi Mumbai, Port-of-Spain, Sharjah, Ankara, Lagos, Kuala Lumpur, Brisbane, Thane, Indore, Coimbatore, Montreal, Milan, Kolkata, Colombo, La Victoria, Secunderabad, Pimpri-Chinchwad, Rio de Janeiro, Ernakulam, Manama, Dallas, Madrid, Atyrau, Bhopal, Chandigarh, Caracas, Baroda, Visakhapatnam, Rajkot, Geoje-si, Busan, Gimhae-si, Muscat, Ahvaz, Nagpur, Doha, Singapore, Bengaluru, Dubai, Chiyoda, Perth, Toronto, Chennai, Jeddah, Houston, Istanbul, Calgary, Hyderabad, Karachi, Algiers, Edmonton, Hanoi, Nashik, Surat, Gurgaon, Santiago, Hong Kong, Ranchi, Ahmedabad, Granada, Ludhiana, Moscow, New York, Courbevoie, Faridabad, Pune, Los Angeles, Bogota, Tehran, Bangkok, Lahore, Jamshedpur, Melbourne, Al Jubail, Haryana, Vung Tau, Aberdeen, Petaling Jaya, Riyadh, Mumbai, Abu Dhabi, Thiruvananthapuram, Jaipur, London, Sydney, Kanpur, Seoul, Jakarta, Kuwait City, Vadodara, Mexico City, Howrah, Cairo, Ulsan, Dammam, New Delhi.